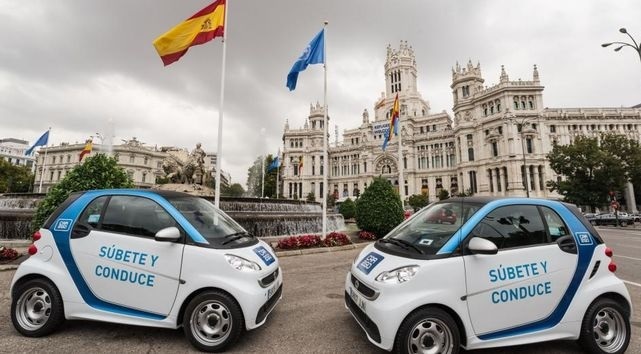 car2go continues to experience rapid growth gaining momentum. 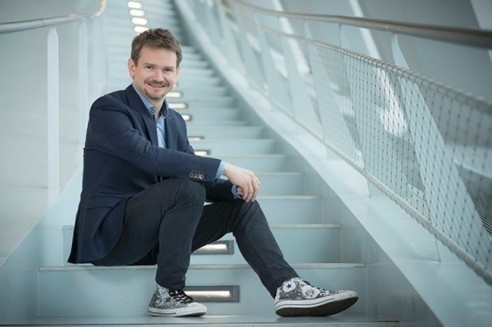 Stuttgart – car2go, the world’s largest flexible carshare service, continues to experience rapid growth and is proof of how quickly carsharing is gaining momentum. Just 15 months after the pioneer and global market leader in the flexible carsharing sector surpassed two million members worldwide, car2go has now reached the next milestone: in January, car2go exceeded the three million member mark. 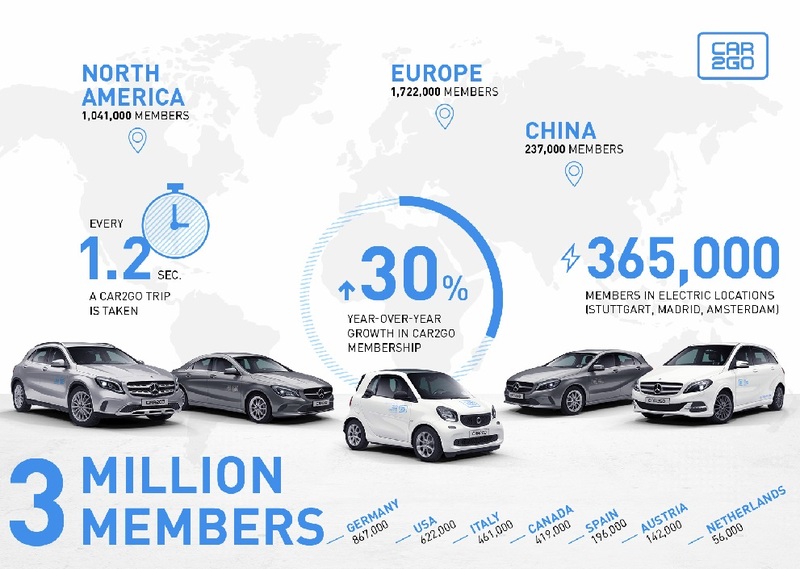 It took four years from the official start of car2go’s service in 2010 to reach the one-millionth member, while the two million member milestone was achieved in just over two years, in September 2016. car2go’s three million members are spread across 26 locations on three continents. The majority of customers use car2go in Europe (1.7 million), closely followed by North America (one million). In China, 237,000 customers are currently registered in their car2go location in Chongqing, thus making it the city with the most car2go customers worldwide, followed by Berlin (223,000 customers) and Madrid (196,000). The top ten list is completed with Hamburg (184,000), Milan (170,000), Rome (166,000), Vancouver (155,000), Vienna (142,000), Calgary (120,000) and the Rhineland (117,000).